The alternate title for this issue is ‘let’s see how much emotional trauma to Cyclops we can pack into a single issue’. This issue jumps all over the place both with the storyline and the art. We have a lot of pick up, filling in the missing moments from the past in-universe days. This is what happens when you have the same writer writing two titles so intricately tied together. 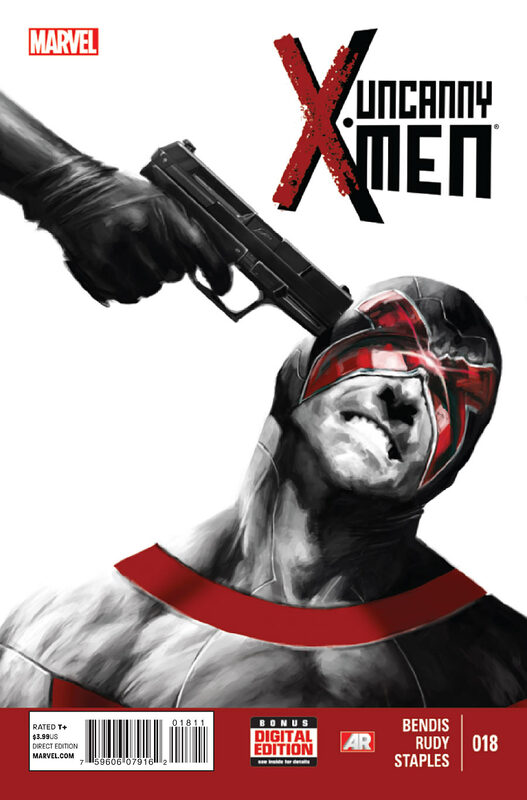 He’s treating Uncanny X-Men and All-New X-Men like one title rather than two separate. So when there is an event that effects one title, instead of just touching the other title, it actually throws a wrench in it.